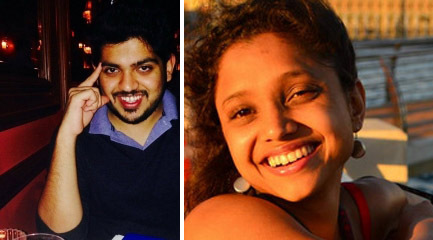 "Gravitational waves act as a sixth sense for humans to comprehend the universe"
Kolkata, April 22 (IANS) Thrilled at the detection of the elusive gravitational waves a century after Albert Einstein’s prediction and the first observation of collision of two black holes at the Interferometer Gravitational-wave Observatory (LIGO), two young US-based Indian researchers working on the project say the waves act as a sixth sense for humans to comprehend the universe. In fact, these “ripples in the curvature of space and time” will provide information on the cosmos that wouldn’t have been possible by peering through any kind of telescope, say Karan P. Jani and Nancy Aggarwal, who are elated at the prospect of India getting a third LIGO (observatory) and being at the forefront of new-age astrophysics. Last month, India and the US signed an agreement for a new LIGO project in India during Prime Minister Narendra Modi’s visit to Washington. The agreement was signed between India’s Department of Atomic Energy and the US’ National Science Foundation (NSF). The prime minister also met Indian student scientists, including Aggarwal and Jani, associated with the LIGO project. “Gravitational waves are a completely new way of seeing the universe. It’s like humans can now perceive the sixth sense beyond the five, to comprehend the universe,” Jani, a fourth year PhD researcher in astrophysics at the Georgia Institute of Technology, told IANS via email. The gravitational waves were detected on September 14, 2015, by both of the twin LIGO detectors, located in Livingston, Louisiana, and Hanford, Washington. The LIGO Observatories are funded by the NSF and were conceived, built, and are operated by Caltech and the Massachusetts Institute of Technology (MIT). Physicists have concluded that the detected gravitational waves were produced during the final fraction of a second of the merger of two black holes to produce a single, more massive spinning black hole. This collision of two black holes had been predicted but never observed. “The energy released during collision was 50 times more than all the stars in the universe combined at that instance,” added Jani, whose work involves simulating black holes on supercomputers and searching for massive black hole collisions in LIGO data. The breakthrough was made by the LIGO Scientific Collaboration (LSC) (which includes the GEO Collaboration and the Australian Consortium for Interferometric Gravitational Astronomy) and the Virgo Collaboration using data from the two LIGO detectors. The LSC currently includes over 1,000 members from 90 institutes and 16 countries. India is the third highest right now in terms of membership. At the heart of the mammoth hunting game to catch the unicorn are tools called interferometers which work by merging two or more sources of light to create an interference pattern that can be measured and analyzed. “It is a four km light interferometer… in fact LIGO is the most precise measurement ever done. This means a lot of technology research has to be done to make LIGO,” Aggarwal, a fourth year Ph D student at MIT LIGO Lab, told IANS via email. Aggarwal is studying quantum mechanics to improve the precision of gravitational wave detectors and is glad that the starting of the LIGO India project opens up a new opportunity for her to work in her native country. “A lot of technological developments that were made for LIGO have found independent applications in science as well as industry and LIGO India will create a lot of opportunities for Indian scientists and engineers and improve the general scientific and technological environment,” Aggarwal emphasised. They hope to “share the discovery with a larger audience”, a request put in by Modi during their meeting. “During our meeting, the prime minister said he would like the LIGO scientists to make frequent India trips to popularize the science in colleges in India. We also talked about physics outreach in India for school children, the importance of hands-on demos and the importance of learning material in languages other than English,” Aggarwal informed. “Also, due to the participation, the travelling of Indian scientists abroad and international scientists to India will definitely strengthen the international relations for India,” she said.